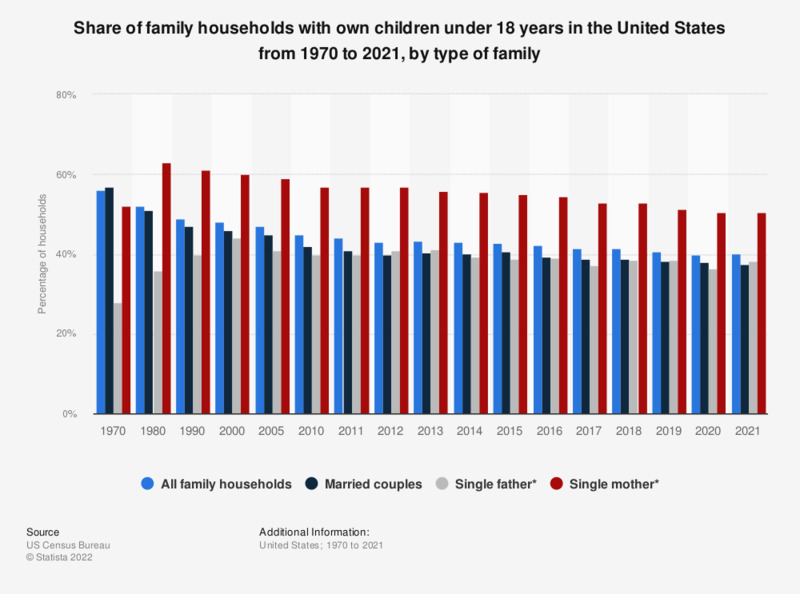 This graph shows the percentages of family households with own children under 18 years in the United States from 1970 to 2017, by type of family. In 2017, about 41.4 percent of all family households in the United States had own children under age 18 living in the household. * Percentage refers to percent of all male/female householder families with no spouse present. Everything On "Single Parents in the U.S." in One Document: Edited and Divided into Handy Chapters. Including Detailed References.